Many guys have the common question when it comes to MXF to MPEG conversion. Yes, an effective and efficient MXF converter is what we care about. For instance, if you have a large amount of MXF files, maybe about 5TB, a slowed conversion tool will drive you craze. This article tells you how to fastest transcode 5TB MXF to MPEG. Follow me, you won't be disappointed! Recently I need to transcode MXF video to MPEG-2, approximately 5TB. The move was from a 360systems MAXX server, going to a Leightronix ultra Nexus for being used in a school public access channel. Since the Nexus can't use MXF and the native format for the Nexus is MPEG-2, so that was the best choice for me. After tried several conversion tools, for the huge 5TB of files, I turned to Aunsoft TransMXF for Mac, the fastest one and the best to output broadcast quality MPEG-2 from source MXF for me. This program utilizes all cores to achieve 6X faster conversion speed. 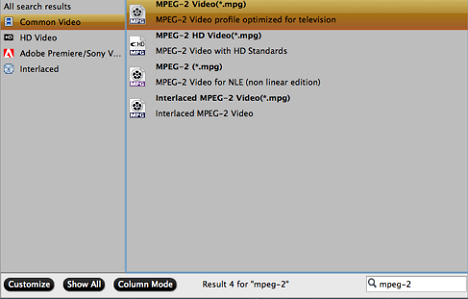 I can directly load multiple MXF from different folder and do batch conversion at once. Since many converters only allow me add MXF file one by one, I appreciate it. What I must mention here is the batch conversion and "Shutdown the Computer" set are really helpful when you are dealing with large amount of MXF to MPEG-2 conversion. With the advanced video and audio synchronization technology, what I sampled looks great without audio playback out of sync. The whole copy off 5TB MXF took less than one week. I also find TransMXF for Mac can help importing MXF to FCP, Adobe Premiere, QuickTime, iMovie, etc via time-saving and easy-to-handle conversion without long rendering time. 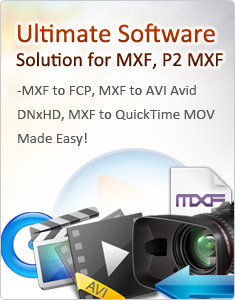 MXF to DivX conversion is also available. The output formats are more than 50 types. Brilliant! Below is a simple tutorial to convert 5TB of MXF from 360systems to MPEG for Leightronix ultra Nexus with high quality. For windows user, you can turn to TransMXF. Click "add video" or "add folder" to load file. You can also directly drag files to the program. Batch conversion is available with one click. Click the "format" and choose "HD Video"->>"MPEG-2 Video (*.mpg)" Here I select MPEG-2 profile optimized for television. Here you can easily adjust video and audio parameters, including the Bitrate of video and audio, the Codec of Video and Audio, Video Size, Sample Rate, Frame Rate, Audio Channels, etc., in the Profile Settings to get MXF files converted with original quality. 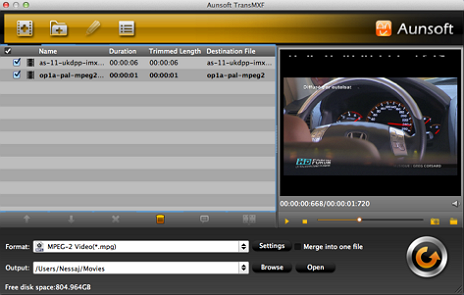 Click "Start Conversion" icon, TransMXF for Mac will convert MXF from 360systems to MPEG at fast speed. You can preview output file when conversion completed.